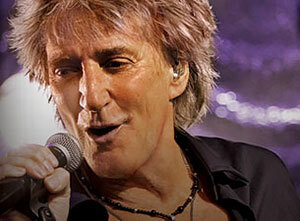 Rod Stewart has announced plans for an 8-date UK stadium tour in the summer of 2016. The veteran rocker will perform huge gigs in Norwich, Plymouth, Southampton, Cardiff, Hull, Kilmarnock, Inverness and Carlisle in June next year. The news of Rod Stewart's 'Hits 2016' UK stadium tour comes ahead of the release of his brand new studio album, Another Country, next month. Tickets for Rod Stewart's fully seated 'Hits 2016' UK stadium tour will go on general sale at 9am on Friday 2nd October, priced at £55, £75, £95 and £125 (for stage-front seats) plus booking fees. Tickets will be available via www.ticketline.co.uk or by calling 0844 888 9991.